Wednesday, June 15, 2016 5:00 pm. 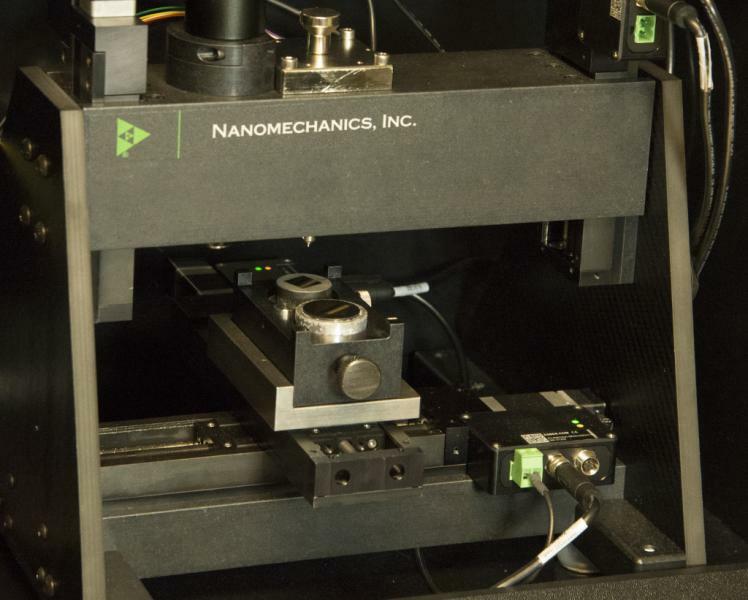 NANOMECHANICS, the privately held precision-measurement technologies and services company based in Oak Ridge, is weighing growth strategy, as well as valuation, funding and exit options. Co-founder, Chairman and CEO John Swindeman told Venture Tennessee the owners of the 7-year-old company are "very open to" an eventual strategic sale under conditions favorable to the company's owners and employees. The company's technologies, tools and contract testing services help customers understand the mechanical performance of materials at micro and nano scales. Findings at those scales can help improve understanding of performance of materials at greater scale in a myriad of objects -- for example, components in cell phones or girders in bridges. Its devices and software enable a wide range of compressive, tensil and indentation testing in vacuum or in ambient environments, with precision cybercontrol of test processes, according to its website. Though the sector has few if any active "consolidators," there are one-off deals being done to fill specific corporate gaps, even while competition continues to grow, in the face of rising demand for testing, said the CEO. Swindeman's LinkedIn is here. Beyond that, Swindeman said "the timing hasn't been right" thus far for earnest talks with strategics. But, he added, he doesn't believe in "burning bridges." Swindeman, 47, said he also maintains relationships with private equity, venture capital and Angel investment groups, and makes a concerted effort to follow developments in the entrepreneurial ecosystem, citing an array of federal, state and local agencies and institutions that have been helpful. The CEO emphasized that, all things being equal, he and his co-founders would much prefer the company remain and grow from its Oak Ridge base, where they and many of their employees are natives or otherwise have long-standing ties. "We continue to want to create value, grow as much as we can and have fun," he said. Swindeman declined to discuss revenue. He said the company is profitable, has 20 full-timers and has grown almost entirely through organic growth. Roughly 75% to 80% of Nanomechanics' revenue comes from customers in other nations. The CEO said this striking crossborder share of revenue results from a number of factors, including the fact that university and institutional scientific researchers are now globally distributed, and from the fact that Co-Founder and President Warren Oliver, Ph.D. played an international role in devising new test techniques. 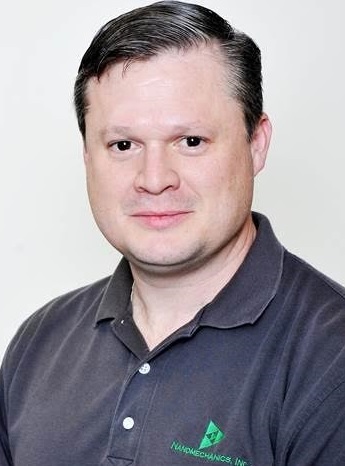 Oliver, who earned his PhD and Master's in materials science at Stanford University and his bachelor's in the field at the University of Tennessee, is widely recognized as having contributed significantly to development and commercialization of nanoindentation. Oliver is the inventor on at least 14 patents. Swindeman noted that until late 2013, his management team was heavy with technologists, rather than sales and marketing pro's. Then, in November 2013 Nanomechanics brought aboard VP-Sales and Marketing Sebastian Ward (LinkedIn here). The company recently began executing a new marketing strategy. Earlier, being light on sales/marketing wasn't a big issue, because from inception in 2009 through 2012 the company saw itself operating mainly as a very friendly captive vendor to Agilent Technologies (NYSE:A, $14BN market cap). Naturally, the Agilent relationship has a history: In 2005 and 2008, Nanomechanics' predecessor, MTS Nano Instruments, was sold first to MTS Systems (Eden Prairie, Minn.) and then by MTS to Agilent (Wilmington, Dela.). Agilent paid $11.9MM for MTS Nano Instruments, according to Crunchbase. Just a year or so later, according to reports at the time, Agilent responded to the downdraft of the Great Recession by moving the Oak Ridge unit's contracts out of state, shuttering the business in Tennessee and leaving many Nano Instruments employees jobless. However, Agilent continued to rely on the former leaders of the nanoindentation business it had acquired. So it was that the Agilent relationship, plus some intellectual property transferred to the team upon their exit from Agilent ranks, helped kick-start the 2009 launch of Nanomechanics by Swindeman, the aforementioned Oliver and VP Kermit Parks. The new company closed its first sales of a legacy product in 2010 for academic and institutional research markets; and, it introduced a new product targeting the industrial sector in 2014. The company has one issued patent and a half-dozen more applications in-process, the CEO said. 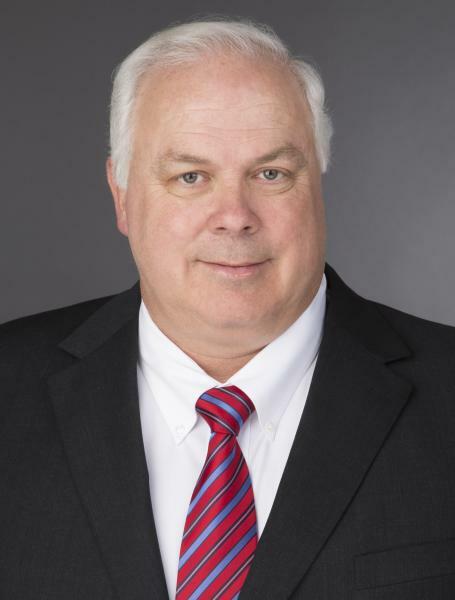 The pace of its development and commercialization effort has stepped-up: The company projects introducing three new products yet this year, with more in the pipeline to debut in 2017, said Swindeman. The company has a platoon of advisors. Its lawyers include attorneys with Baker Donelson, as well as with attorneys with Kramer Rayson, Miller & Martin and LuedekaNeely. It accountants are Pershing Yoakley (PYA). It banks with Regions and SunTrust; PR is handled by Ripley; and web/interactive support is via Pyxl Inc. and Slamdot. The CEO said he's looking for an addition to the company's outside advisory board with deep corporate finance expertise, adding that hiring the company's first CFO may be not far over the horizon. 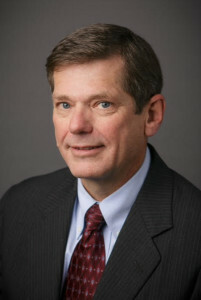 Current advisory board members include Bob Burns, a retired former GM of Agilent's Nano-Technology Measurements Division and a former HP engineer in digital wireless test and development; Peter Jones, who had broad international business experience and is an advisor with Nastec International, a global security firm; Jeff McCay, principal partner in Chattanooga-based Top Five, a manufacturing-oriented private equity firm; and, Will Overstreet, Knoxville-based entrepreneur and investor (GridSmart, VoicesHeard Media, etc.). Agilent (itself formed by an HP spin-off) seems to be assigning more weight to other markets since the MTS Nano shutdown and Agilent's 2014 spinout of a logical Nanomechanics competitor, Keysight Technologies (NYSE:KEYS, $5BN market cap, Santa Rosa, Calif.).